Northwest Music students. Please call 0400-608-177 for student prices. 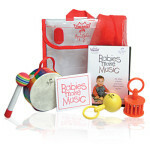 Maraca: Perfect for little hands, this small and durable maraca has a crisp clean sound that all little ones will love! Safety tested for babies making music. Colourful Scarf: Great for creative movement and dance sure to bring smiles to all ages! See through fabric makes this especially fun for little ones! Baby Tot Drum: Sure to be great fun as little ones beat this durable and colourful rainbow covered drum with handle. Short rainbow mallet too! It may be small but the quality is the same Remo quality that the big musicians play! Babies Tot Bell: Securely attached large silver bell with cage and easy-to-grip handle. Is good for small hands and will jingle with every shake!